Did you get a chance to see the reveals for the newest Crate Paper collections, Cute Girl and Cool Kid? They are both amazing! 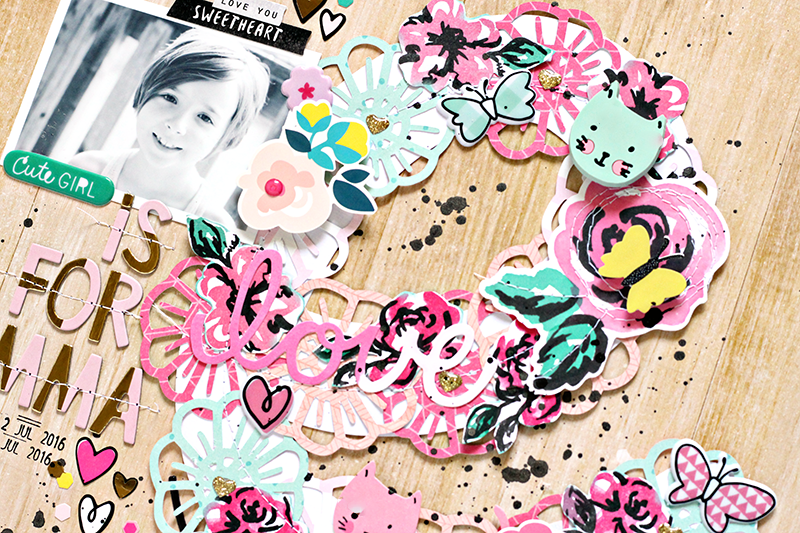 I'm stopping in today to share a layout using the Cute Girl collection and at the end of this month, I have a layout that will be on the Crate Paper Blog, using the Cool Kid collection. I could seriously use wood grain paper for the background of every layout! I knew the wood grain side of the Rainbows patterned paper would be perfect for my background. I wanted to create a large initial for my daughters name and cover it in florals, so the wood grain was a great balance to the mix of colors on the initial. To create the initial, I cut a large E from White cardstock on my Silhouette Cameo. 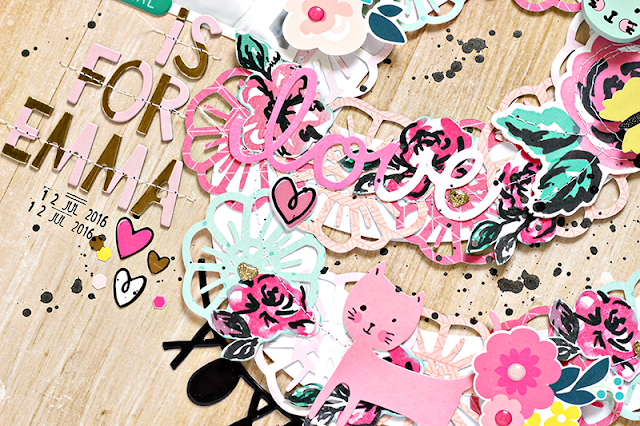 Then I cut several flowers from a mix of the Cute Girl patterned papers. I arranged them on the initial and then fussy cut a few more flowers from the Storybook patterned paper and layered them over the die cut flowers. Once I had all of the flowers in place, I machine stitched around the letter, to add texture and to secure the flowers. 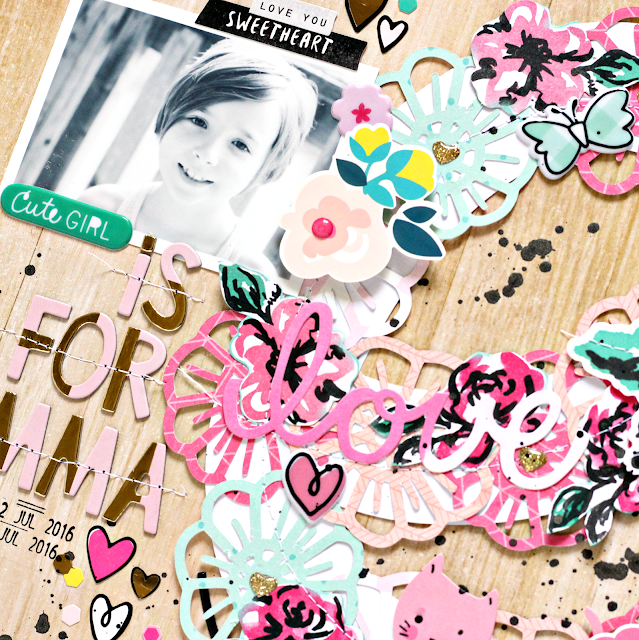 I wanted to add more interest to the initial, so I mixed in some embellishments from the Cute Girl ephemera pack, puffy stickers, enamel dots and stickers. I finished the layout by placing the rest of the title under the photo. I used the Deer Thickers, and machine stitched through them, to give the title some texture. If you missed the new reveals, visit the Crate Paper Blog! You can find Cute Girl HERE and Cool Kid HERE. 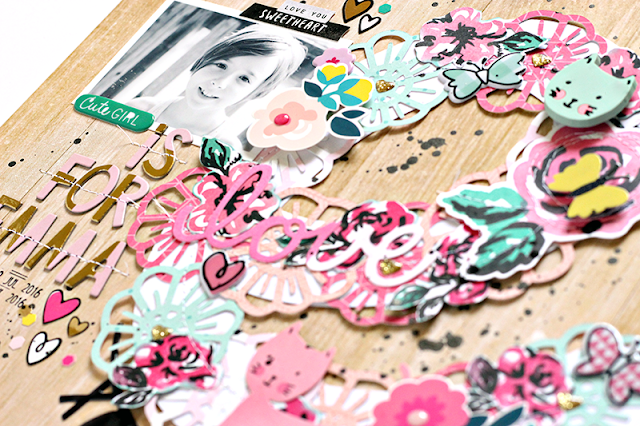 And make sure you're following Crate Paper on social media to check out all of the amazing inspiration from the Design Team, using the new collections!